Just in time for holiday season shopping rush, Downtown Disney will open part of the new Westside Parking Garage to guests in late November. That extra capacity is much needed and I’m sure it will be appreciated. Some Cast Members who work at Downtown Disney have already started to use the facility. Floors 1-4 will be open for guests starting around the final week of November. Around 1700 spots will be open originally, more will open at a later date. If you’re heading to Downtown Disney, you’ll need to go to entry signal 3, which is located by the AMC24 and Planet Hollywood, across from Team Disney. 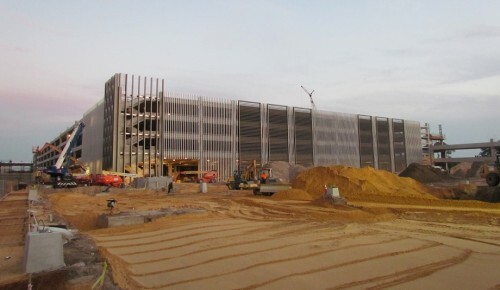 I expect that once all of the Westside garage is open, Disney will begin to close the MarketPlace parking lots to begin construction on the second parking garage. Downtown Disney will officially become Disney Springs when “The Landing” opens in 2015. Previously: Latest Photo and Video update from Disney Springs construction!